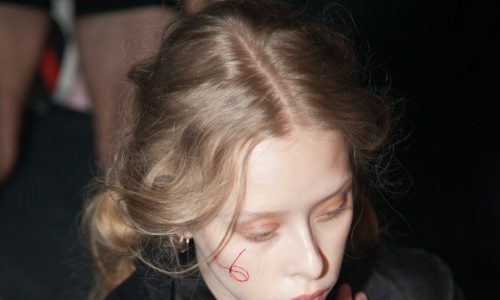 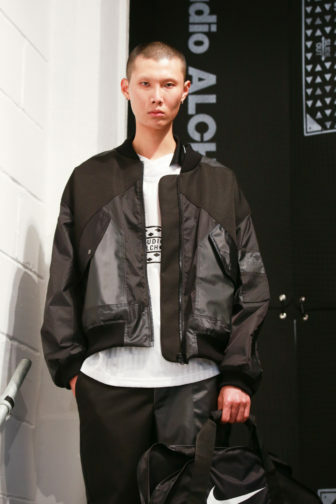 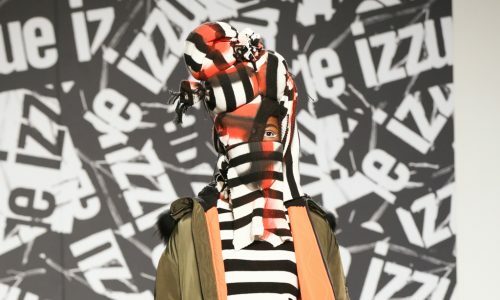 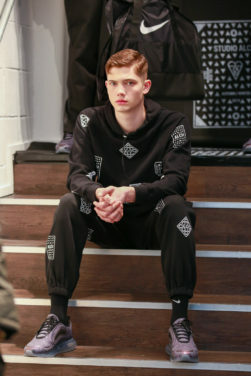 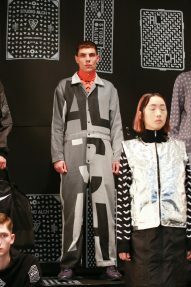 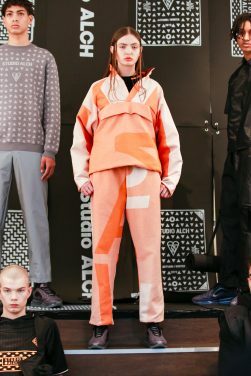 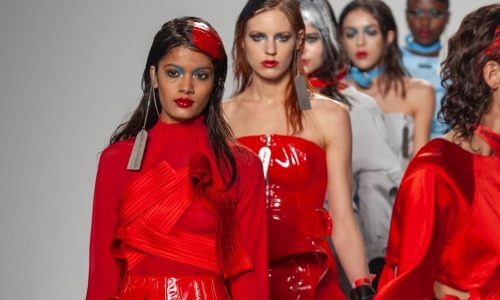 Studio Alch’s Alexandra Hackett continued to combine the functionality of sportswear with the appeal of streetwear in a vastly monochromatic Autumn/Winter 2019 collection, with the odd pop of fluorescent orange. 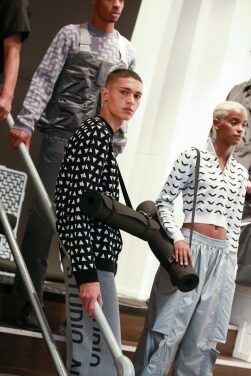 The mentality of the range was dressing for a typical day, but in an outfit would enable you to drop everything and head to the gym if you needed to. 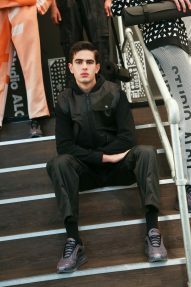 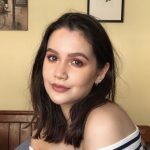 Designs incorporated thoughtful, practical features such as removable bags and a variety of pockets that can be utilised to reduce the waste created through purchasing plastic bags. 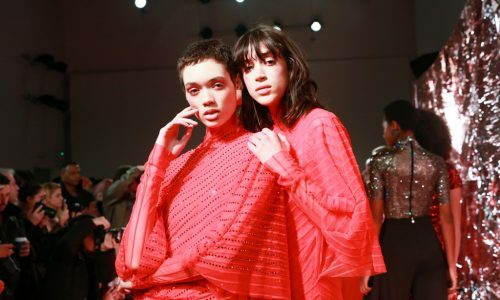 Proving her dedication to minimising waste, Hackett made sure that jacquard pieces were constructed in exact panels, therefore diminishing the excess material produced as a by-product of pattern cutting. 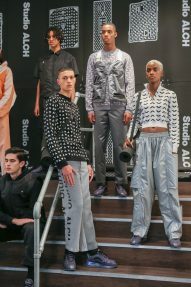 The range was heavily inspired by the textures, motifs and visuals found on the daily urban commute in and around London, for instance with some pieces mimicking the indented pattern of manhole covers. 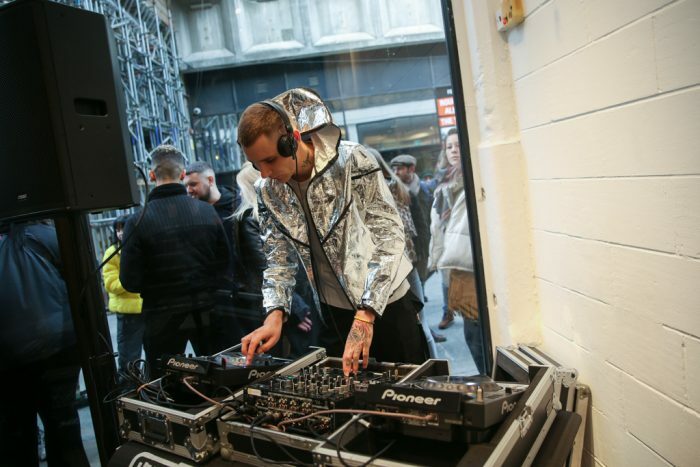 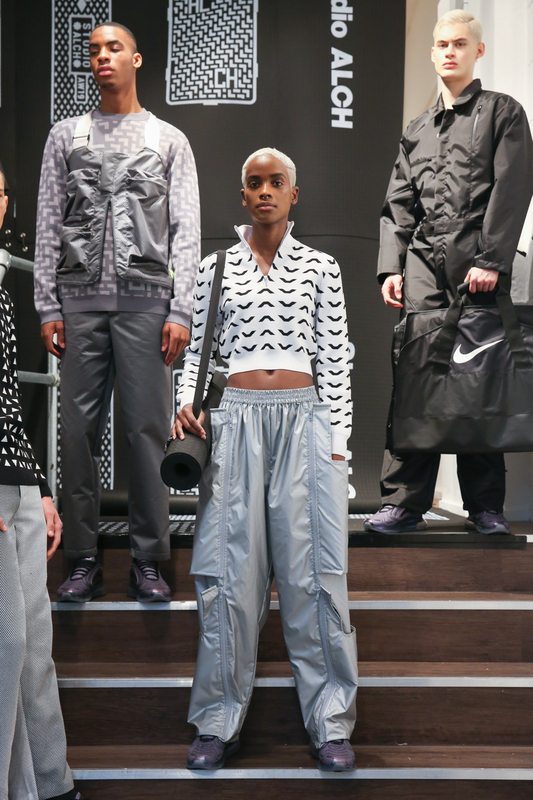 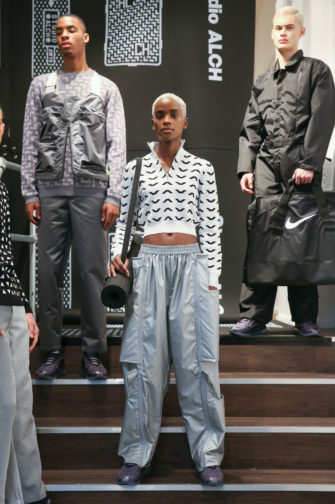 Frequent collaborator Nike teamed up with the label to provide footwear for the presentation. 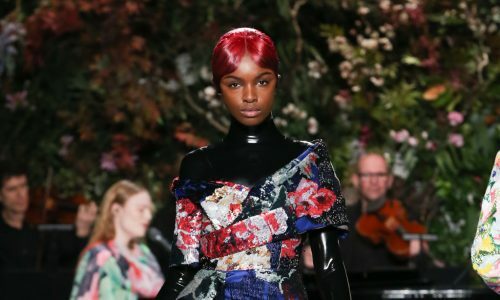 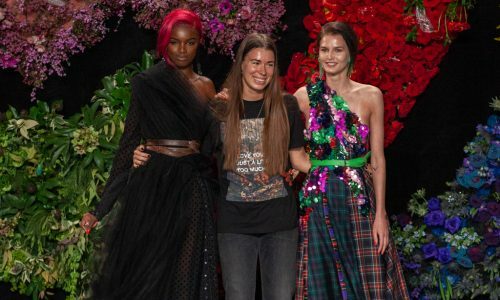 Demonstrating a challenging of conventional clothing production methods, whilst simultaneously increasing functionality and innovation, Hackett set an example for the rest of fashion to hopefully follow in her footsteps.